The Body Display exhibition is the fourth station in a five-part series of exhibitions entitled Performative Installation. This series is an initiative of Siemens Arts Program in cooperation with Galerie im Taxispalais in Innsbruck, Museum Ludwig in Cologne, Museum of Contemporary Art Siegen, Secession, Vienna and the Gallery for Contemporary Art Leipzig. All of the stations deal with a common theme, but each examines it from a particular point of view: construction & situation, narrative, communication, body & economy, and architecture. The theme of Body Display is the human body in the economic context. The concept of “display” alludes to the spatial mode of presentation, i.e. 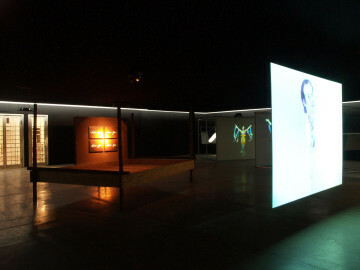 the stage-like frame within the confines of which the body acts and is exposed to view. At the same time, the notion of “display” also refers to the body per se, which functions as a display for various roles and identities. To correspond with the exhibition’s thematic orientation, the main space of the Secession will be hung with a temporary lower ceiling which will serve as the plane of an imaginary stage. 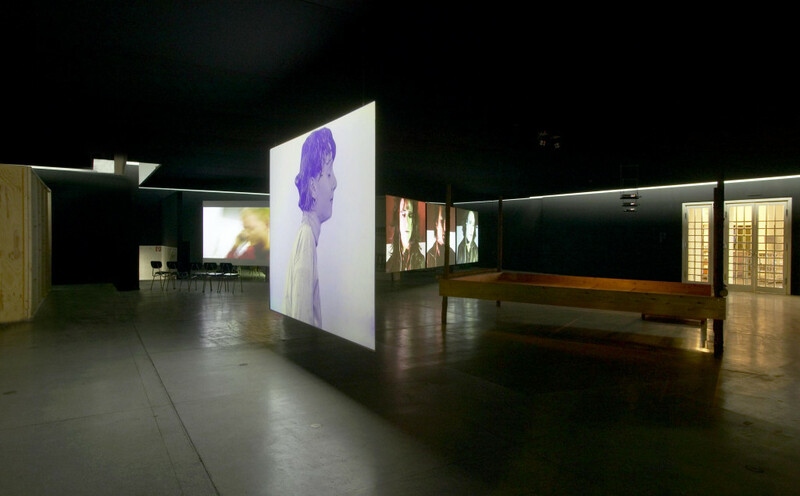 This intervention simultaneously transforms the room into a black box, i.e. a space for live actions and projected images. 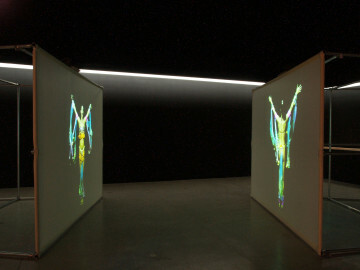 In a video entitled Ode (2003), Victor Alimpiev and Marian Zhunin stage a choreography for apparently synchronized uniformed bodies. Without any recognizable narrative context, these persons move in a collective which seems to simultaneously imprison and protect them, thereby calling into question the relationship between the masses and the individual. 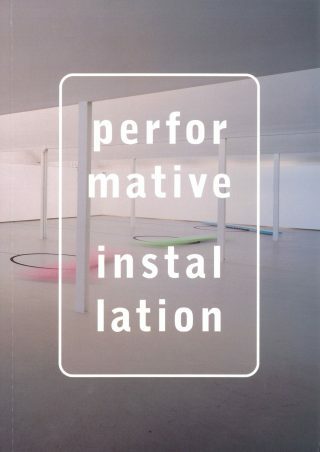 Cascades of words, neologisms, and their reification in the form of objects serve as the guiding threads in performative installations by John Bock. These installations usually orbit around the themes of organic and/or economic processes. 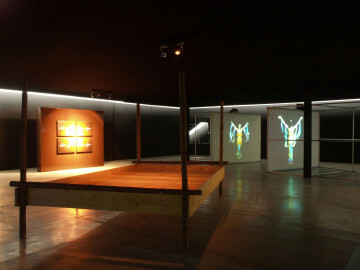 His Weißschweißproduktion (2003) is an installation that consists of blocks of Styrofoam, a wall made of textile, a raised bier, and video projections. The entire installation deals with the body and its vulnerability to injury. 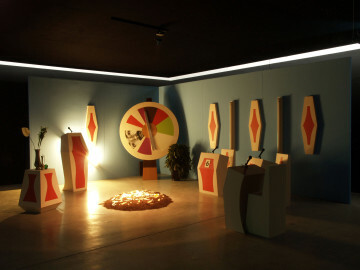 Artworks by Cosima von Bonin combine installations, objects, paintings, films, music, and performance art. She uses materials taken from ordinary, everyday reality to create surreal spaces that can evoke memories and dreamlike images. Her rejection of the notion of a so-called “natural” bodily feeling takes the form of an oversize, almost archaic-looking and cobbled-together bed. In films entitled Body Double, Brice Dellsperger re-stages scenes from familiar horror movies and melodramas such as “Psycho” or “Vertigo.” The figures of the actors, which cannot be assigned to any defined roles, alternate between male and female role playing. 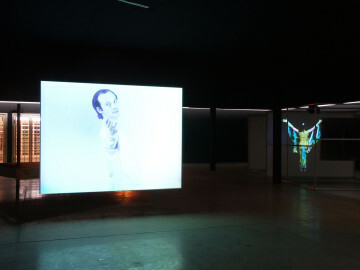 Dellsperger stages a contemporary pietà in Body Double #9 (1997), which is projected so that it appears to be a sort of triptych. Andrea Fraser has been well known since the mid 1980s for her research, which is critical of institutions. 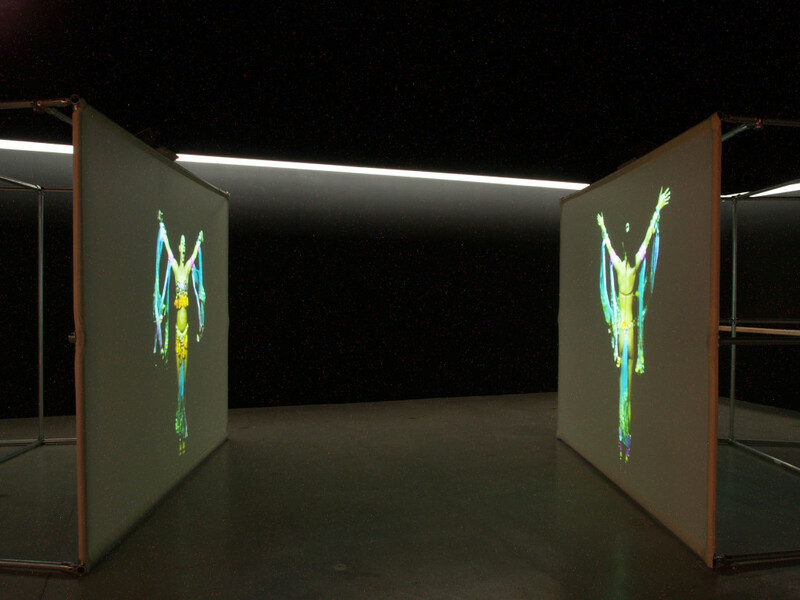 In Fraser’s double-wall video installation Exhibition (2002), the artist herself performs as a dancer, clad in a Brazilian carnival costume, who inscribes herself into a samba formation in Rio de Janeiro. By so doing, Fraser overlays the contexts of acting on the one hand and artistic practice on the other. For her cooperations with well-known enterprises in the worlds of design and fashion, Svetlana Heger makes her own body available to these enterprises as a surface for advertising. An exchange of merchandise takes place in return for this service. She presents Signed by… in the current exhibition. This artwork is a large advertising panel which displays the artist’s signature, painted across the panel in large format by a sign-painting company, as though her signature itself were a logo. Furthermore, an additional logo from a sponsor makes her signature into an advertising medium. Anette Baldauf und Dorit Margreiter present The She Zone, an artwork about a shopping mall in Abu Dhabi which is off limits to men and accessible only to women. This women-only shopping center is intended to offer its female clientele the opportunity to move about freely, without restrictions imposed by religious and societal compulsions. The focal point of artworks by John Miller is occupied by various models through which society attempts to identify and represent itself. His assemblages of materials define the artwork as a libidinous, consumerist fetish. The installation entitled The Lugubrious Game (1999) presents a staging of a TV show and describes the medial sellout through the absence of the TV show’s guests. Victor Alimpiev, born in 1973, lives and works in Moscow. Anette Baldauf, born in 1965, lives and works in Vienna and New York City. John Bock, born in 1965, lives and works in Berlin. Cosima von Bonin, born in 1962, lives and works in Hamburg. Brice Dellsperger, born in 1972, lives and works in Paris. Andrea Fraser, born in 1965, lives and works in New York City. Svetlana Heger, born in 1968, lives and works in Berlin. Dorit Margreiter, born in 1967, lives and works in Vienna. John Miller, born in 1954, lives and works in New York City and Berlin. René Pollesch, born in 1962, lives and works in Berlin. Marian Zhunin, born in 1968, lives and works in Moscow.